Exclusive industrial district. Area planning available. Water supply（1,000m3/day, Charge: 151 yen/m3）. Industrial water（4,000m3/day, Charge: 62 yen/m3）. Special high voltage（66kV）: Available（ consultations required）. 3 km, 5 minutes by car, from Tobu Kanasaki station on Tobu Nikko Line. 15 km, 23 minutes by car, from Tochigi station on Tobu Nikko Line or JR Ryomo line. 20 km, 40 minutes by car, from JR Utsunomiya station on JR Utsunomiya Line or Tohoku Shinkansen. 5 km, 8 minutes, from Tsuga interchange on Kitakanto Expressway. 13 km, 20 minutes, from the Tochigi or Kanuma interchange on the Tohoku Expressway. 〈Large Account Discount Program for Drainage〉 Located in Utsunomiya Nishi Chukaku Industrial Park, and daily use volume of drainage exceeds 100 t. Discount rate. Period:　For the first 5 years. Tochigi City Industrial Location Promotion Act. Invested fixed assets amount : 100 million yen or more. Number of full-time employees living in the city: 5 or more. Amount of grants: An equivalent amount of the fixed assets taxes. (limit amount: total 300 million yen). To satisfy the requirements of the location Incentives. 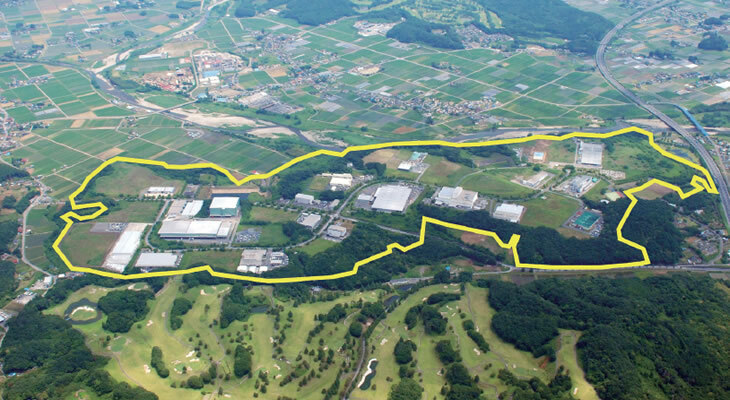 Enterprises located in Utsunomiya Nishi Chukaku Industrial Park. Invested total fixed assets amount : 200 million yen or more (for small business 50 million yen or more). Full-time employment of 20 or more employees ( for small business 10 or more). To start the operation of the factory,etc. within 3 years from the date of the land purchasing contract. An equivalent amount of the fixed assets tax imposed to newly established or added factory, etc. after the commencement of its operation. Acquired relevant land from the Organization for Small and Medium-sized Enterprises and Regional Innovation (or Land Development Public Corporation of Tochigi Prefecture). For acquired land 2,000 yen per 1m2 multiply the acquired land area. Only 1 time at the fiscal year of commencement of its operation. Full time employment of 20 or more employees ( for small business 10 or more). To start an operation of the factory,etc. within 3 years from the date of the land purchasing contract. The number of the newly employed full-time employees living in the city exceed a half of the total employees, and they shall be employed for 1 year or more. 10,000 yen per newly employed full-time employee living in the city. Only 1 time at the fiscal year after an employment of one year or more from the employment at the start of its operation.